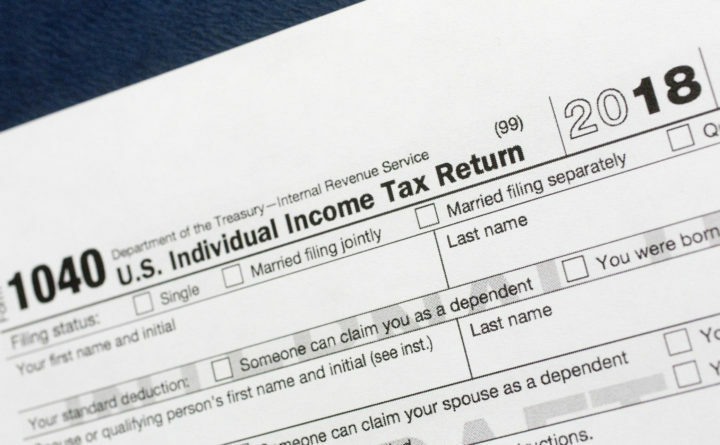 A portion of the 1040 U.S. Individual Income Tax Return form for 2018. The Senate voted 15-9 on Thursday to kill a bill that would have required candidates to submit three years’ worth of tax returns to the secretary of state’s office when they sign up to compete in the presidential primary. The bill also would have applied to the eventual nominees, who would have had to submit their returns two months before the general election. The House rejected a similar bill earlier this month. While supporters said voters would benefit from increased transparency, opponents said such legislation could face legal challenges as it would add additional criteria for a candidacy beyond what is outlined in the U.S. Constitution.